There is no need to mention the fact that the human body is structured in that way that demands to replenish at a given schedule. Morning hours are that period of the day that requires a lot of concentration and energy. The body is switching from the relaxation mode it has been whilst sleeping to the highly energetic mode demanded from the morning hours. Once you wake up you are fully aware of the course of the day – Working schedule, tasks to be completed, other issues to be handled. At this very moment when you start counting the “what to do list,” your energy is starting to being drained. That is why it is strongly emphasized the necessity to consume a healthy breakfast. Skipping breakfast is not an option to be considered at all. Natural types of food that are rich in the above nutritional values are considered as healthy breakfast options to go with when trying to establish a well- balanced eating regimen. We should remember the fact that usually when we do not consume breakfast, our bodies will require more than necessary amounts of food to be consumed later during the day. For instance, elevated amounts of food consumed during the afternoon are not considered healthy, taking into consideration that the energy necessary to accomplish tasks at this period is not considerable. We have been studying a number of reports and information from reliable sources treating the healthy breakfast concern, and have already built a list of 10 Quick Healthy breakfast Idea Recipes. These recipes are provided as a start- up option for any of the individuals who are just trying to start establishing a healthy eating regimen. Peanut butter is considered a healthy fat butter. Meanwhile, banana is believed and treated as the energy fruit that can fairly substitute a meal. If you are in a hurry and have no time to prepare breakfast, then you can try the combination of a loaf of bread spread with peanut butter and banana over it. Once you go for it, you will possess all the right amount of energy from a healthy breakfast. Are you already familiar with oatmeal but not aware of the number of combinations you might get at the end? A healthy breakfast formula is here: Oatmeal soaked in warm milk or water with a little salt and a boiled egg. This combination will provide you carbs and fibers at the mean time. It even requires just only a couple of minutes to be prepared. Still in a rush? All it requires are two loaves of bread, cheese and tomatoes. This is a healthy breakfast toast that can be further enriched with the introduction of tasty herbs as per individual demands. Once you do not consider yourself a salty morning person, you can go for the sweet options as well. All it requires is milk, chocolate and season fresh fruits. The three of these ingredients can be mixed together and you will have a deliciously tasty mixture to fuel you with the necessary morning energy. Yoghurt is considered rich in probiotics that help the intestinal track achieve the necessary microbiome balance. Once yoghurt is combined with fruits, any kind of season fresh fruits, it provides a good source of vitamins and probiotics to help your body start fresh. Taking into consideration that yoghurt accepts any type of fruit combination one can achieve the taste he prefers and consume a healthy breakfast at the meantime. Here we are again with peanut butter combinations. This healthy fat source can be sweetened with relevant amounts of a homemade jelly and result in a tasteful healthy morning. As we already mentioned, banana is considered as a meals replacement. But, once we are considering breakfast and the amounts of energy it requires, banana fruit and milk are a necessary combination. 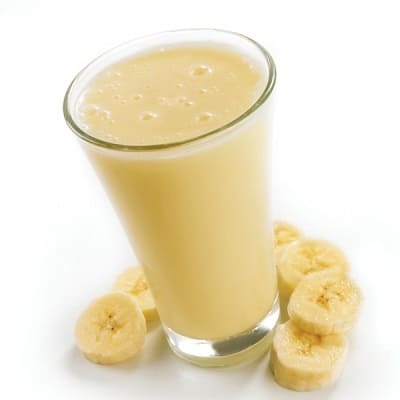 The banana milkshake is believed to support the individuals in terms of mental preparation as well, taking into consideration the magnesium found in the banana fruit. Chocolate is a natural energizer that once it is combined with the pumpkin seeds it can provide to the organism amounts of fibers as well. If we want to enrich this healthy breakfast furthermore, we can add a cup of almond milk as well. It couldn’t get simpler than this. We just need to boil an egg, and an amount of olive oil and take a slice of toasted bread. To get it even tastier, you might add herbs as per the individual demand. All you need to put into your morning dish is cheese, apple and a hand of walnuts. This combination would result in a highly protein and fiber rich dish. As you might see from this article, we have already provided different options to choose once deciding to go for a healthy breakfast meal. All it requires is an understanding of the healthy breakfast necessity to run a successful working day and meet all requirements without draining your energy before the end of the day. Apart from this, by going with a healthy breakfast, you avoid chances of gaining unnecessary weight by consuming inappropriate amounts of food in the afternoon.